Citation – a listing of references to statutes, laws, and codes related to the records series. 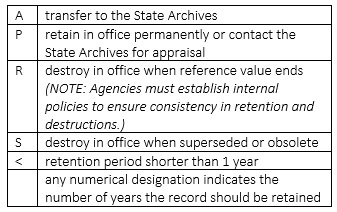 Citations can include Authorities (governing the creation of records), Confidentiality (limiting access to public records), and Retention (setting a retention period). October 31, 2016 in Functional Analysis Initiative.